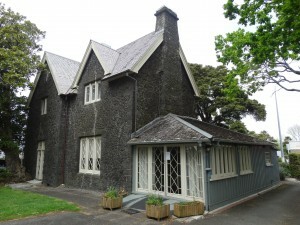 Kinder House is located in Parnell, Auckland. 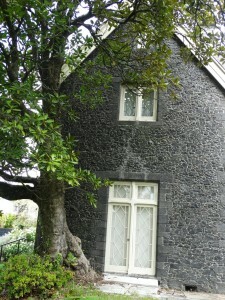 Built in 1857, Kinder House is one of Auckland’s most notable stone buildings. 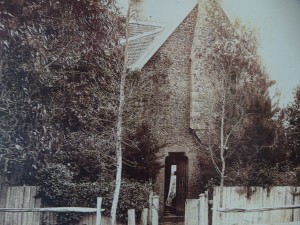 It was commissioned by Bishop G.A. 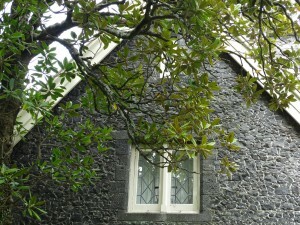 Selwyn and designed by Frederick Thatcher, the architect for many Anglican buildings in Auckland. 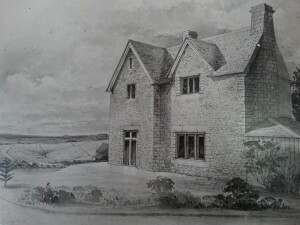 The house was the residence of London-born John Kinder, a former teacher, painter, photographer and reverend of the local Church of England Grammar School. 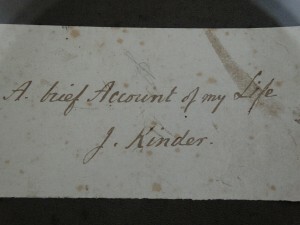 He occupied the house with his wife and the six children of his brother Henry Kinder, who was murdered by John’s sister-in-law and her lover. 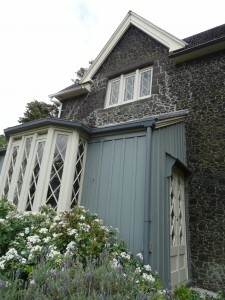 The house was opened to the public as a gallery in 1982. 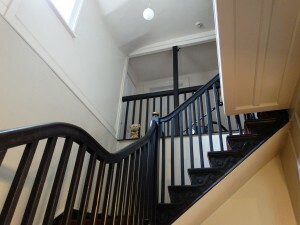 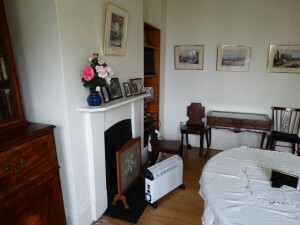 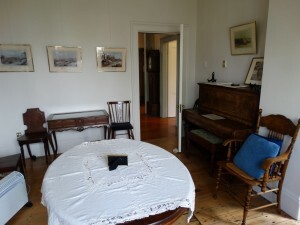 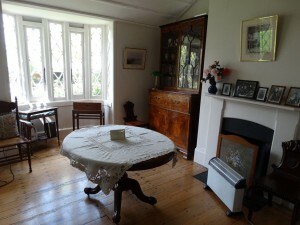 The house is also used for wedding receptions and other functions. 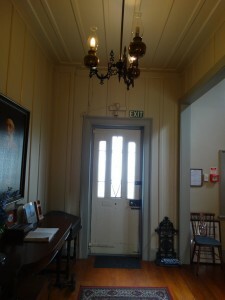 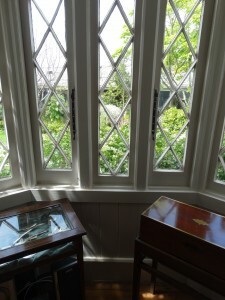 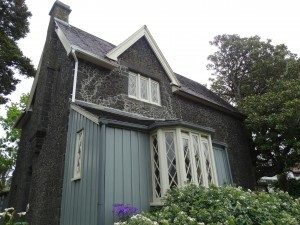 Kinder House, sometimes known as “The Headmaster’s House” was built in 1857, commissioned by Bishop G. A. Selwyn and designed by Frederick Thatcher, architect of many Anglican buildings in Auckland. 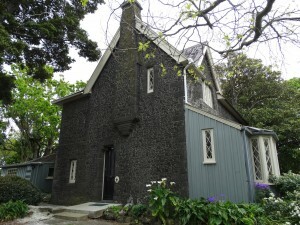 The house is a Gothic-style, double-storey mansion built of grey volcanic stone quarried from nearby Mount Eden. 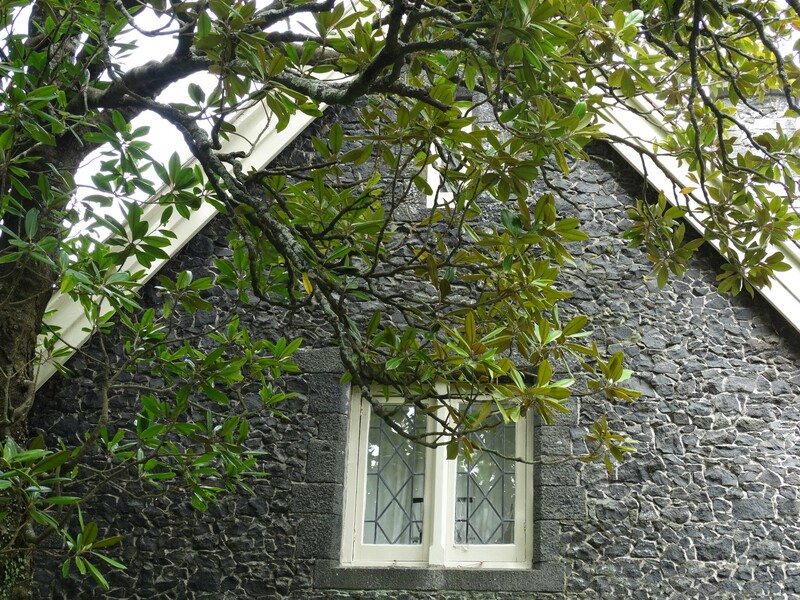 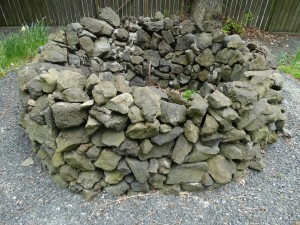 The schoolmaster’s house is of rubble construction, basically using scoria from Mt Eden, with dressed stone at corners and openings thought to have been quarried at Mt Wellington. 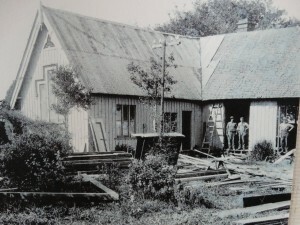 Michael Dunn wrote an article in 1982 for the publication Art New Zealand which is available on the net at art-newzealand.com and incorporates a number of historic photographs. 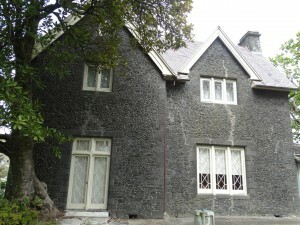 He notes that Kinder House was the grandest of three stone buildings constructed in Parnell by the master mason, Benjamin Strange, in 1857/8. 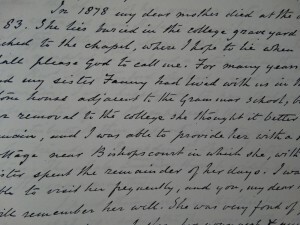 It cost £1404, a considerable sum in those days. 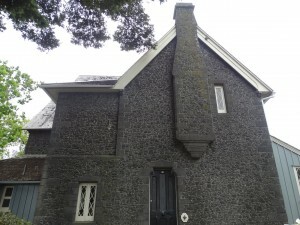 This was not surprising, as it was unusual to build in stone or brick at the time, particularly stone, there being a shortage of masons of sufficient skill. 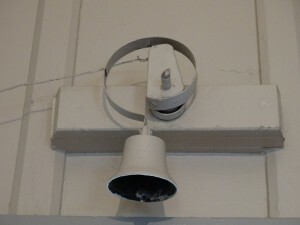 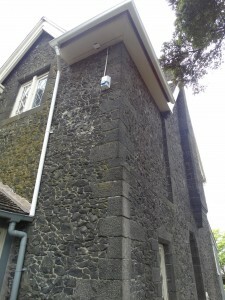 This is evidenced by structural difficulties which were experienced following the construction of a number of stone churches in the region at the time, namely the earlier St Thomas’s on the corner of Kohimarama Road and the original St Stephen’s chapel in Judges Bay. 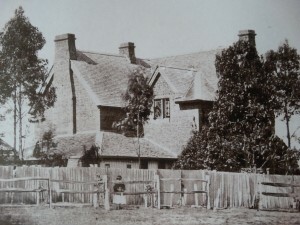 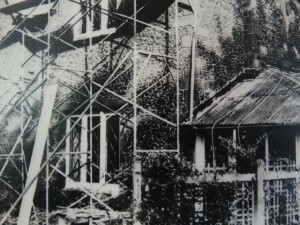 The schoolmaster’s house, on the corner of Ayr Street and Parnell Road, was sold by the church and remained in private ownership through to the 1970s. 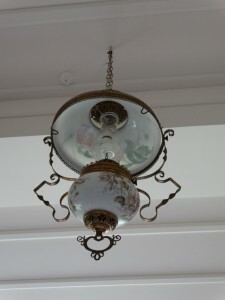 On the death of the then owner it became available on the open market. 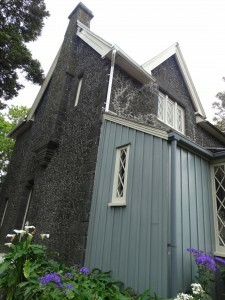 Councillor Sheila Horton and Deputy-Mayor Dr Lindo Ferguson convinced the Council to purchase the property because of is heritage value. 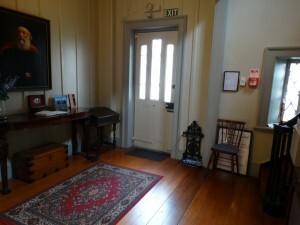 The Civic Trust Auckland was also active in helping convince the Auckland City Council to purchase the property. 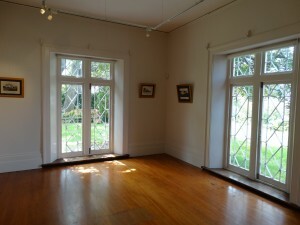 The Kinder House Society was formed to manage the property and operate it as a gallery. 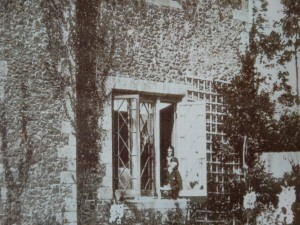 Its first Chairperson and driving force was Sheila Horton, who is commemorated by a sundial and plaque in the garden. 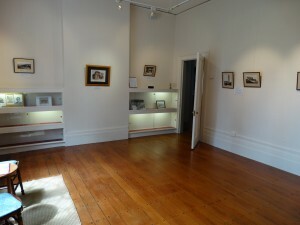 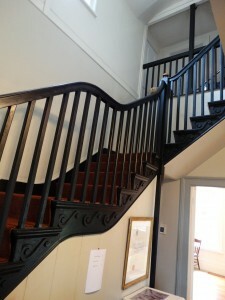 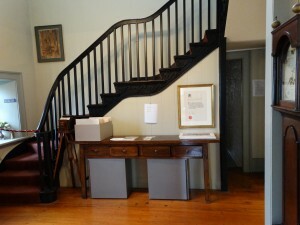 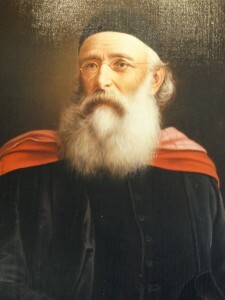 The Ground Floor rooms are devoted to the display of watercolours, photographs and sketches by John Kinder (1819-1903). 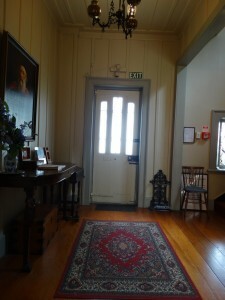 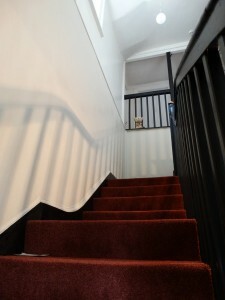 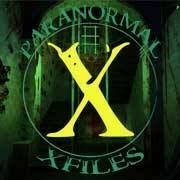 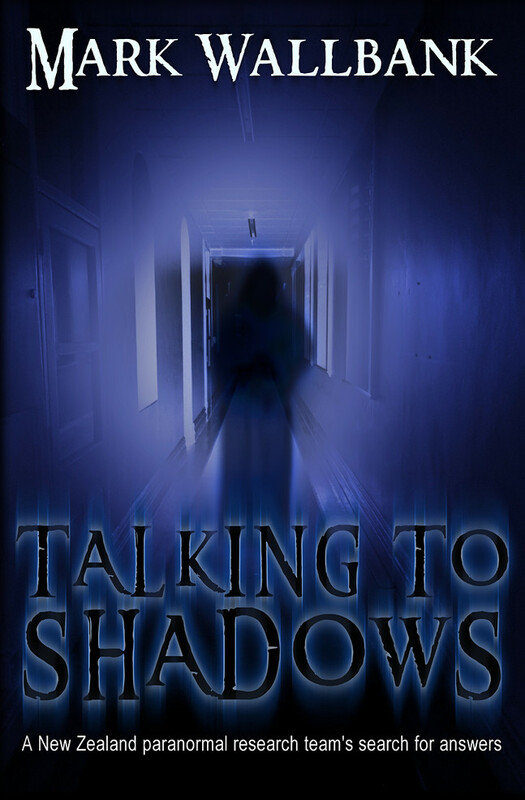 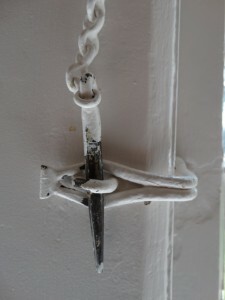 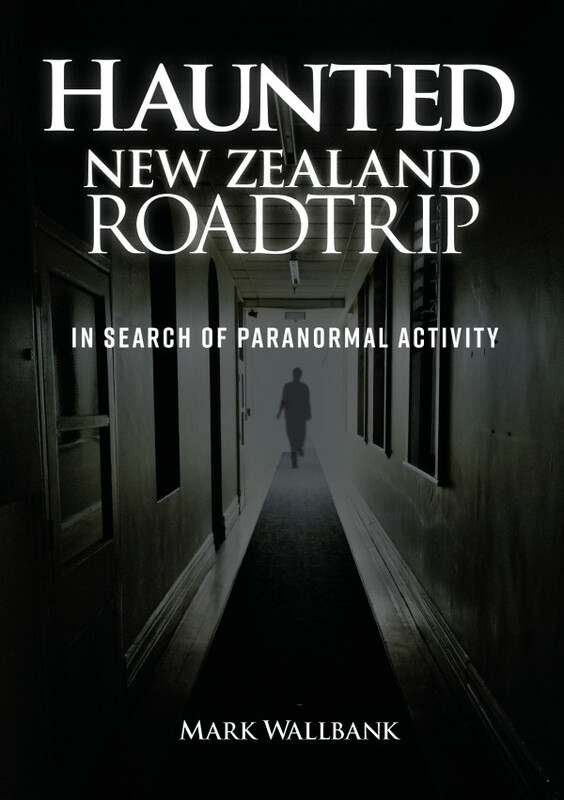 It is claimed that the house is haunted by the apparition of a man. 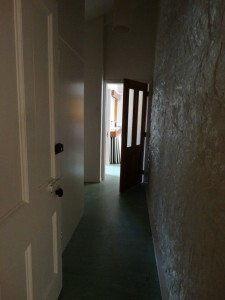 The house’s spooky resident is reportedly a black, shadowy figure said to be Kinder, or perhaps his brother. 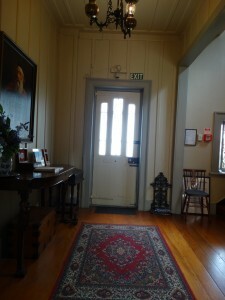 What a lovely place. 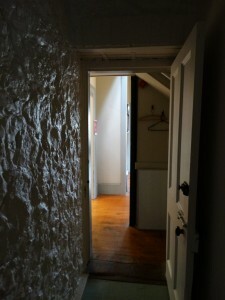 I like they way you always document these well with photos of the buildings and surrounds.